I made this cake for a little girl’s first birthday party. It is easy to make as long as you have the proper tools. You must have an icing spatula, a lazy Susan rotating board, and an icing tip. 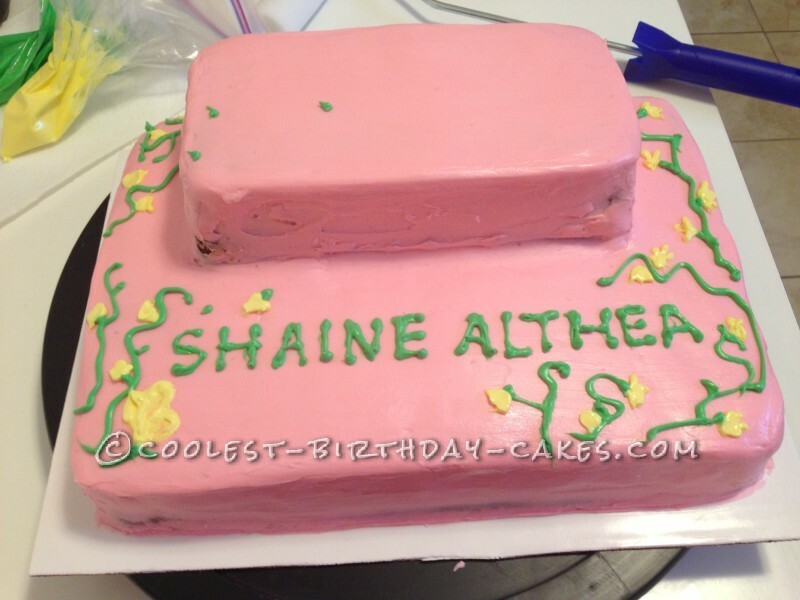 I also used cold water and ran my wet fingers over the cake to smooth it up and later smoothed it with a small foam paint roller! I baked 1 13×9 cake and used 2 cake mix boxes (better have more than less) and a small loaf cake using nearly a cake mix box. I made cup cakes with the excess batter that I had left. I cooled the cakes and then wrapped them in plastic wrap and froze them. A day later I leveled the cakes with a big knife and flipped them upside down to have a smooth flat surface. I used ready made icing bought from a grocery store (you need a lot, at least 6 tins!!). I dirty iced the cake (I used the 789 tip, it makes the icing process a breeze) and spread the icing evenly with a spatula. Put the cake back in the fridge for 15 min for the icing to harden. 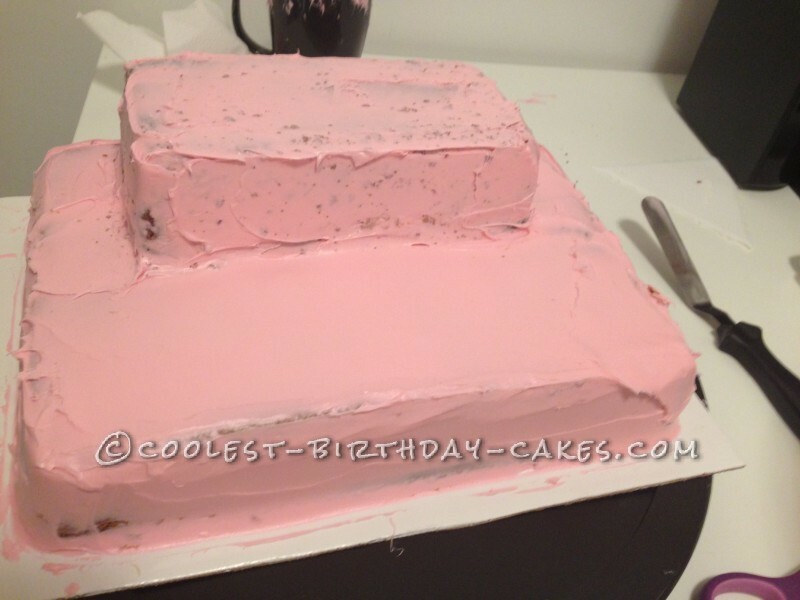 Next I added more icing for the final coat (I think every cake maker should own the #789 tip, I got it from Walmart for like $4 FROM THE CRAFTS SECTION) and spread it again with a spatula. I put the cake in the fridge again for 15 min then started smoothing the icing with my fingers dipped in cold water. It is optional to run the foam roller in the next step. 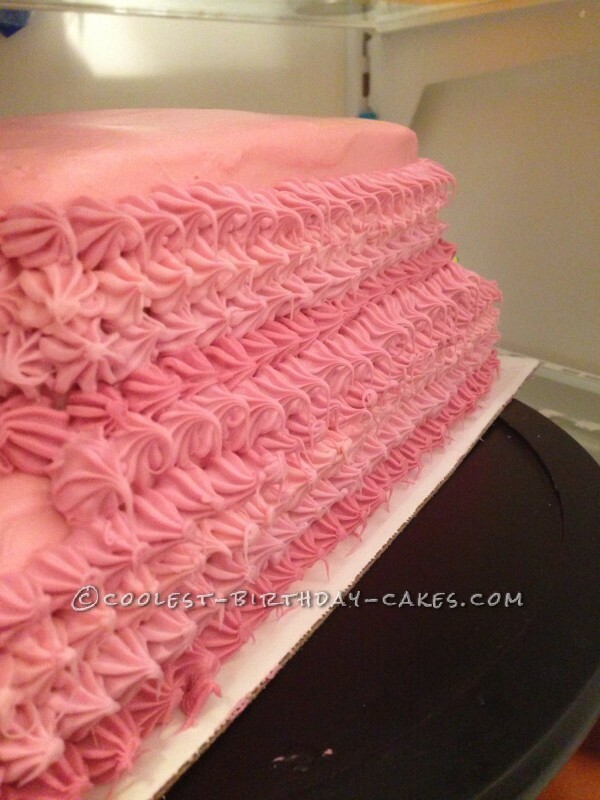 I made different shades of pink icing (I found the icing to be soft and melty so I put the bag in the freezer for more control) every time I iced a row, I put the cake back in the fridge to harden. If the star tip left a nasty looking tail, dip your finger in cold water and push the tail into the star. For the castle I did it the easy way. I found a carton cupcake stand at the Dollar store so I cut it and taped it together and used two straws to insert the castle into the cake (there are sooo many ideas to make a castle from crafts or even a mini castle toy at the Dollar store. I also bought the princess from the Dollar store). 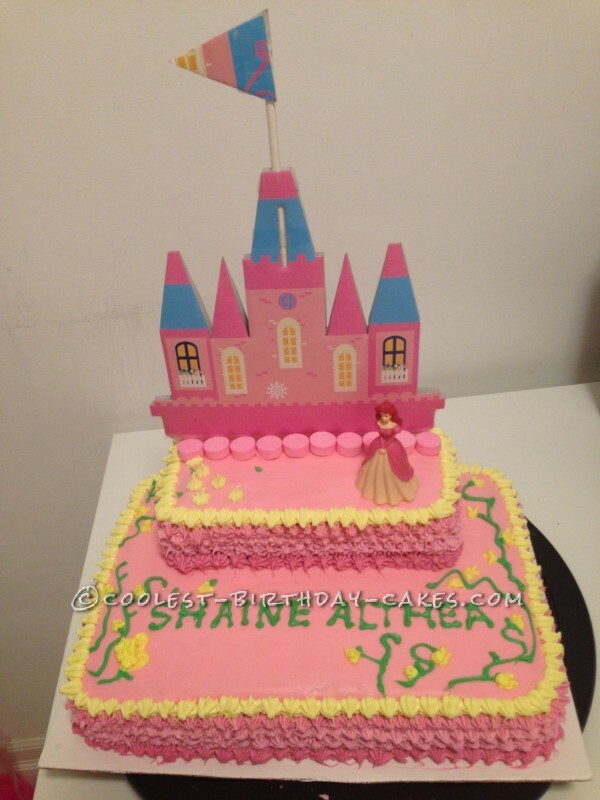 Birthday cake idea Posted by Dina S.